CASSE’s story is one of engagement with Aboriginal communities out west and in Central Australia. engaging in cultural revival - making traditional tools, caring for country, camping on country, in ceremony, sharing sacred stories, and telling stories of pain and creating new feelings and new stories for living - also at the heart of psychological healing and growth. I have a story of pain of my own. A few weeks ago I lost a valuable heirloom and, when it wasn’t turned in, it became listed as a stolen item. Its true value could only really be known by me. It had belonged to a very dear family member and handed down to me upon death. I was devastated. The pain of loss was intense for two weeks. In this time I reflected on the losses sustained by Aboriginal people. My pain was nothing in comparison to the pain of a people lashed by violent cultural collision, invasion and dispossession. They had sacred objects stolen, their ancestral lands stolen, their children stolen, and have been disinherited by the colonialists and the toxic legacies of colonialism live on. The magnitude of loss is almost incomprehensible. The evidence of loss is in ravaged souls on haemorrhaging lands. So is the survival and strength of a people. I reflected on the youth crisis, the development of warring gangs in the town of Alice, developing as group identity badges and the high rate of property damage they commit at times, a bit like the vandalism of Krystall Nacht. The property of their people - culture, lore, lands, and lives - have been savagely damaged and stolen in the past and there is a living presence of damage experienced by many today. Young children were stolen from their mothers and left to languish, in the anguish of their tears, alone and disregarded. I remembered a conversation I had with a Traditional Owner who had visited the Melbourne Museum. I said to him: "You must feel so angry seeing your sacred object in a glass box that you have to seek permission to visit". He replied; “No, I don’t own the object, the object finds me”. CASSE responds to psychological need and suffering. We change minds and save lives. We ask: ‘how can we be helpful?’. And we work on country. 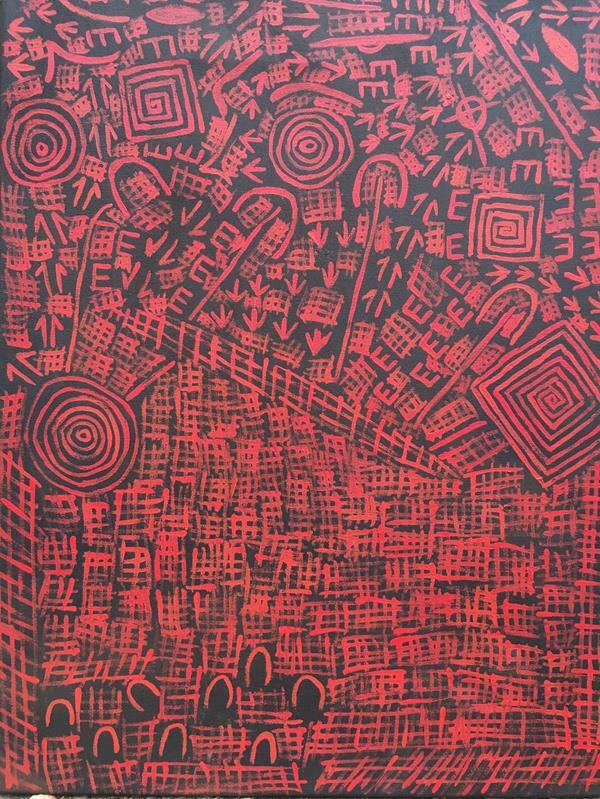 The Men’s Tjilirra Movement (MTM) is partnering with Papunya Tjupi Arts to offer Men’s Art and Cultural Revival Camps, generously supported by Arts NT. The first camp was a terrific success. Engaging 17 men over the course of a week, 8 men produced more than 2 artworks and 6 completed a single work, all of which will be exhibited in Papunya after the second camp. The camp provided the opportunity to deepen connections to family & traditional law and included a visit from senior law-women and men. Following the camp, the Art Centre reported "significantly greater engagement with this group of men than ever before, with half a dozen young men creating space within the Centre to complete works". 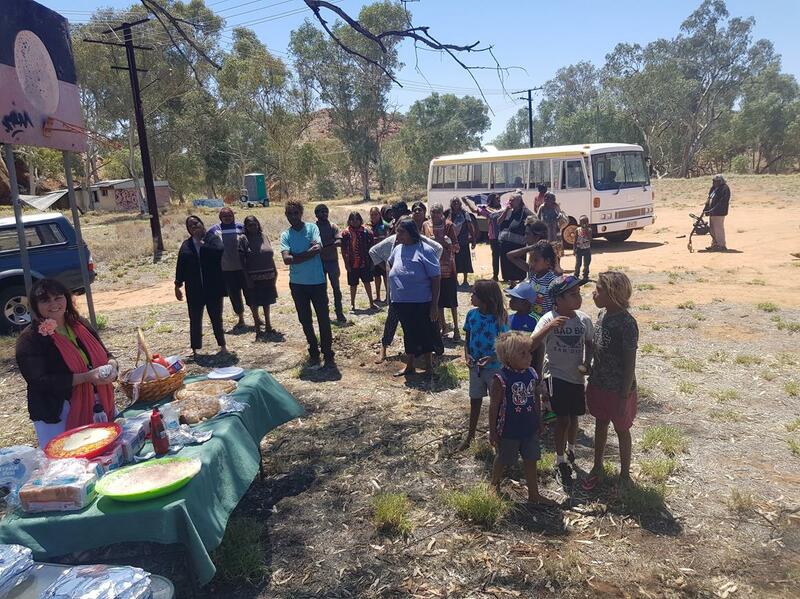 Jamie Millier Tjupurrula , CASSE’s Program Manager for the Men’s Tjilirra Movement, shares his story about the first camp in the CASSE Blog. This is the canvas that I painted for the men to understand the loss of tradition and protecting what is theirs. The young people at the bottom of the canvas are not listening or adhering to the rules and lore of their people. The young people are not learning the new culture ether, there is a big space between teachers and students of both cultures. I spoke of the importance of some of this new culture and learning the language because it is the way Australia speaks. I pointed out that it is more important to learn your first language and know your country first - it is your life line. If we don't feed the land with our feet dancing on it and our songs singing for it it will not feed us, due to its heartbreak. The top of the canvas is about the knowledge that the elders have and its importance. ...The men spoke about the truth of what was said and they want to change this. I said I can help and I can come to meetings with them and help with better decisions. It was getting dark so we left and went to our homes. 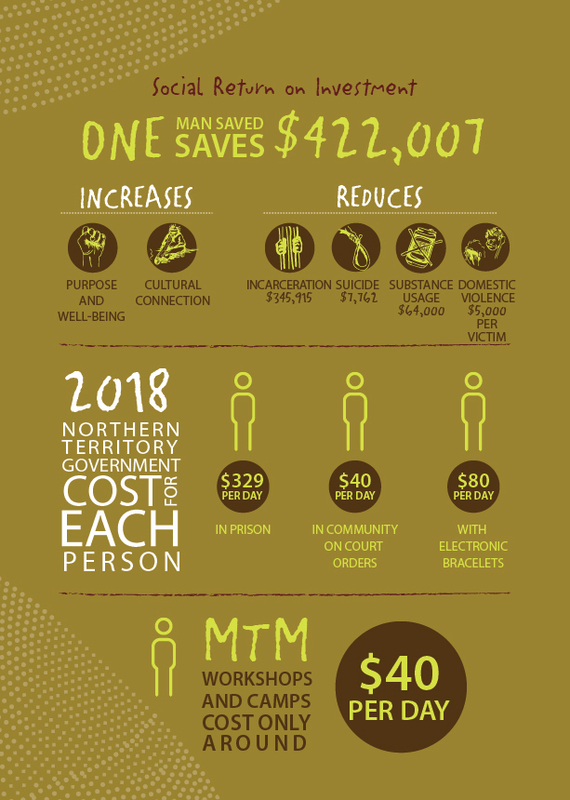 For every man, woman or young person who engages with the Men's Tjilirra Movement (MTM), there is a multiplying ripple effect that influences their connections, family and community life for the better. They recommend MTM for everyone! The establishment of Blokes On Track Aboriginal Corporation (BOTAC) was one of the key outcomes of the Kurunna Mwarre Ingkintja – Good Spirit Men’s Place Research Project, a collaboration between CASSE and the Central Australian Aboriginal Congress Aboriginal Corporation (CAAC). 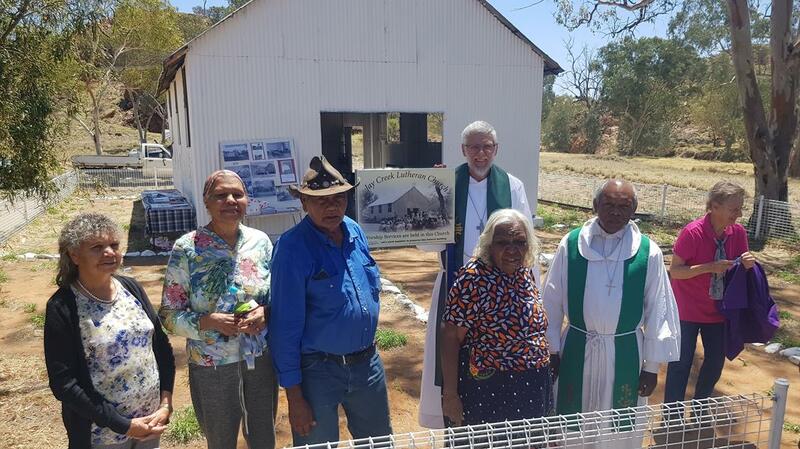 'Having a place for males' to conduct programs for men was identified as another priority and BOTAC has been investigating Old Jay Creek Mission as a suitable location for such a place because of its historical significance for so many people. On October 21, BOTAC hosted a BOTAC Family Day at Old Jay Creek Mission, with Church Service. the Wife Michelle and Mother in Law Doreen, for the Damper and Salad and nice Shannon for helping out. Psychological change, we believe, comes from recognition. Suffering is alleviated through mutual recognition and feeling, which helps healing. Without recognition, there can be no self-recognition. 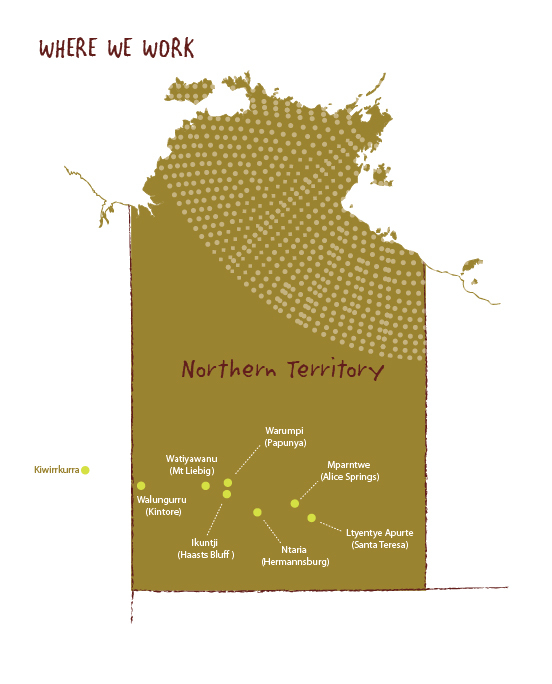 ‘Self’ for Aboriginal people out west is inextricably tied to country. This is why CASSE works on country. Privileging a cultural approach and cultural experiences and facilitating cultural revival. Privileging spirit recovery and healing from stress and trauma. Providing a means of empowering people to regain a sense of control and mastery over their lives. Implementing strategies that are Indigenous-led, family focused, culturally responsive and context specific. Developing partnerships with the Aboriginal Community Services sector and local communities. The therapeutic tools of psychoanalytic practice have not only informed the work of CASSE but been instrumental in thinking about trauma, cultural ruptures, relationships, couples, families, linkages and transformations. Aboriginal views of mental health and social and emotional wellbeing are very different to those of non-Indigenous Australians One can also see a nexus between Aboriginal and psychoanalytic worlds in the importance of place, holding, relatedness, narrative, sacredness, potential spaces, and dreaming. Pamela Nathan's paper "Psychoanalysis and Australian Aboriginal couples and families in Central Australia: the family storyline" (published in International Review of Couple and Family Psychoanalysis, ISSN 2105-1038, N° 17-2/2017 – Psychoanalysis and Culture, Cultural Diversity in Couple and Family Psychoanalysis. No. 17) provides a detailed exploration of traditional cultural practices and tjukurrpa, and how this relates to CASSE's approach. 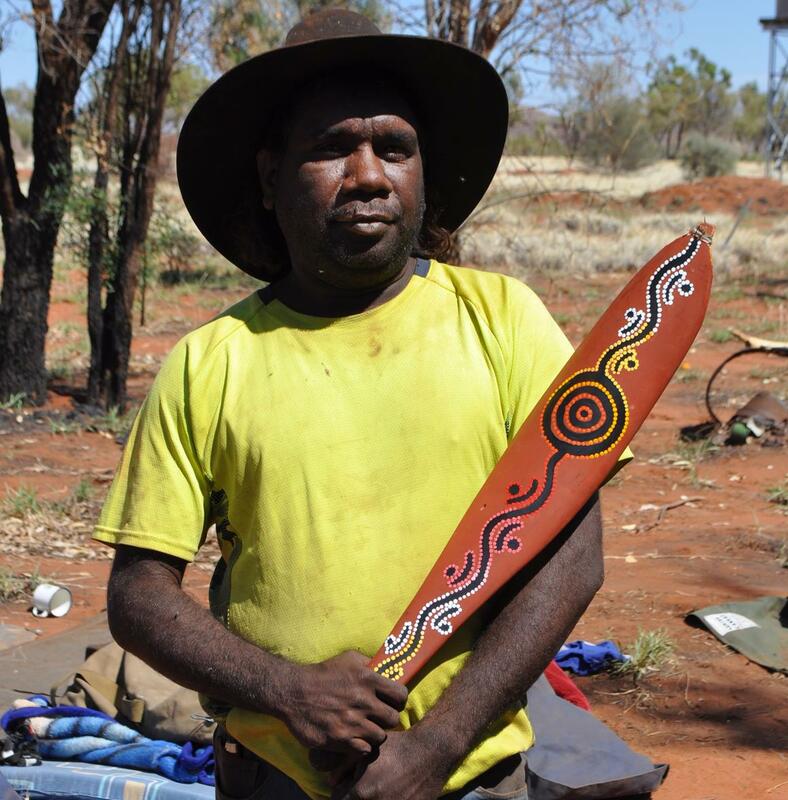 Walter Jugadai works closely with the Men's Tjilirra Movement. Working Through Trauma – Understanding trauma and building a tool kit to heal traumatic experiences. Transformative Tools – A practical psychoanalytic tool box. Mentalising Violence – Using the psychoanalytic tool of mentalisation to break the cycle of violence. We also offer this workshop with more focus on cultural violence. Saving Lives - Suicide Prevention – Using the psychoanalytic tool of mentalisation to understand suicide. 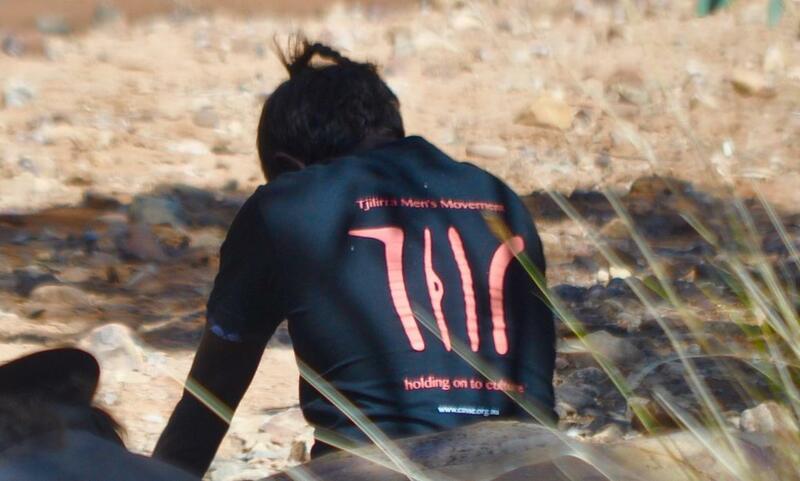 Men’s Tjilirra Tools – Reviving an ancient cultural practice to restore mental health. 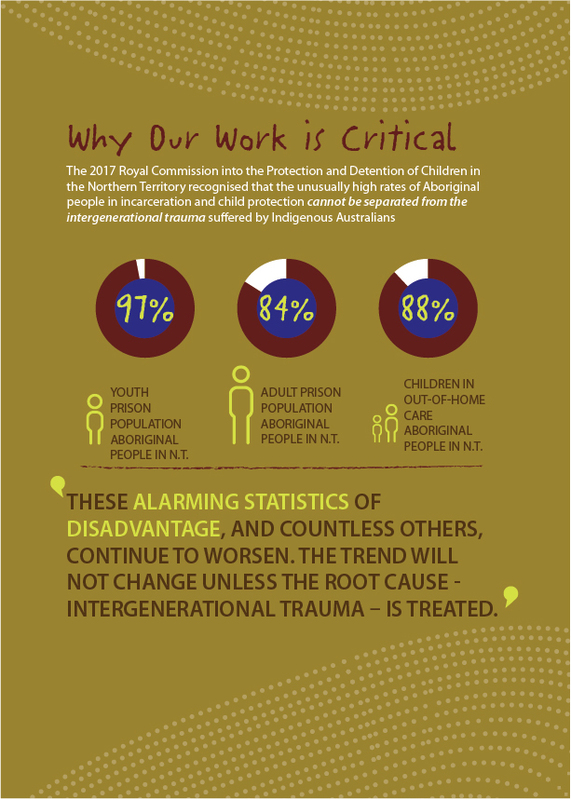 Transgenerational Trauma - Understanding historical trauma in the present – opening up the hard conversations about trauma, both historical and present, in Aboriginal communities using film. These are available as half or full day workshops and can be delivered for groups within your organisation. We're on a journey... to change minds and save lives. Watch the story of our journey here. To make a donation, please contact us: phone 0450 540 366 or email enquiries@cassse.org.au . CASSE Australia Inc (ABN: 17811 536 315) is registered in Australia as a Deductible Gift Recipient. All donations over $2 made to CASSE Australia are tax deductible and go directly towards supporting our programs.